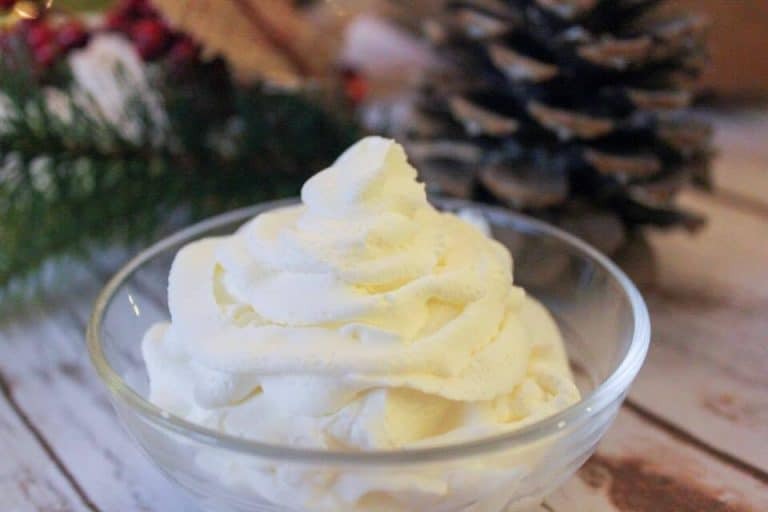 Sweet Peppermint whipped cream, ready in less than 10 minutes. This delicious whipped cream is also sugar free and low carb. Peppermint is my new obsession. In the fall I love pumpkin (though I admit I am happy to eat pumpkin all year long). But now I have discovered a new love – peppermint! Again, I am happy to eat peppermint all through the year, but for some reason, we seem to associate peppermint with Christmas! Did I mention that this recipe only has 3 ingredients, and takes less than 5 minutes to make? 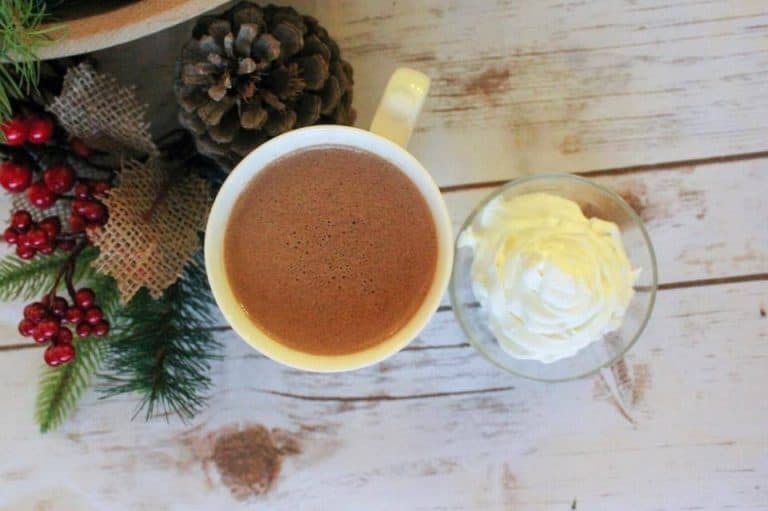 There’s no reason NOT to have peppermint whipped cream on your coffee in the morning! This whipped cream should keep in the fridge for a few hours, but probably not much longer than that. There is nothing added here to stabilize the cream. I suggest you make this and share it with others in your family. This recipe makes approximately 2/3 cup of whipped cream. In a small container (I like to use my 2 cup measuring cup), beat heavy whipping cream with Gentle sweet and the Peppermint oil. This post contains affiliate links, which provide me with a small commission when you purchase something through these links. The profits go to the support of my family and this blog! Thank you!